Business disputes can be very complex. Kevin Anderson has the professional experience and resources available at Fabian VanCott to assist clients in complex litigation cases when they are facing difficult problems or have already faced defeat. For example, Kevin led a team of Fabian VanCott attorneys in representing the co-owner of Crandall Canyon Mine in connection with catastrophic events at the Mine in August 2007, in the court room, with the press, and with governmental authorities. As lead attorney, Kevin conducted negotiations involving multiple plaintiffs, insurance companies, and co-defendants to reach a settlement of all claims for all parties in less than two years. He also has prevailed in highly publicized cases against the NCAA and the FBI. Kevin has handled many cases in Utah, Nevada and other jurisdictions, involving employment agreements and alleged breaches of covenants not to compete. Kevin has assisted clients in matters related to the defense of reputation and corporate image, a variety of disputes dealing with contracts, force majeure, securities fraud, banking, real-estate transactions, and intellectual property. Kevin is also an active mediator and arbitrator. He currently serves on the Executive Committee of the Utah Mining Association. Kevin graduated from Georgetown University Law Center and is admitted to practice in Utah, Nevada, the District of Columbia, Ohio, the 9th, 10th and District of Columbia U.S. Circuit Courts of Appeal, and the U.S. Supreme Court. 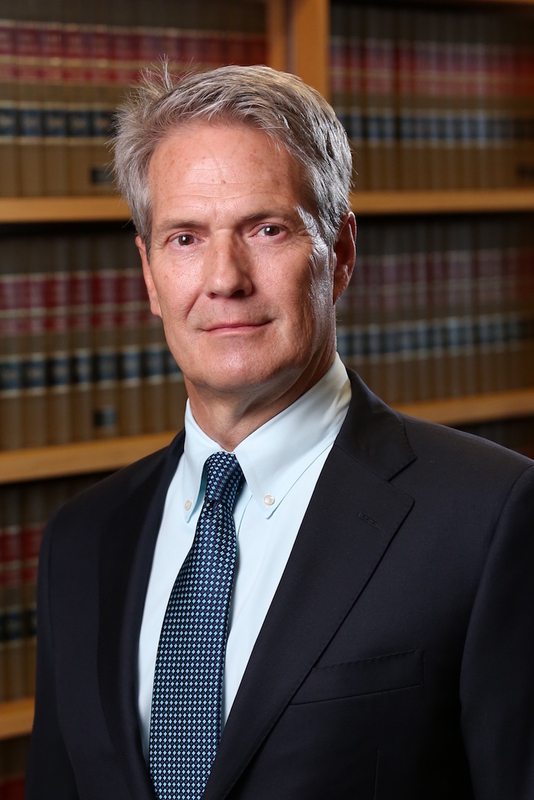 Kevin is one of Fabian VanCott’s most experienced trial attorneys with over 35 years of litigation experience in state and federal courts, arbitration, and administrative forums. Kevin has handled a variety of complex commercial disputes involving contract disputes, force majeure, eminent domain and condemnation, securities fraud, insurance coverage and benefits, banking, real estate transactions, fiduciary relationships and Indian law. Kevin has been involved in all aspects of litigation, arbitration, mediation, and settlement negotiations. Kevin has handled numerous employment related matters including successfully defending an employer against claims of religious discrimination under Title VII by an employee who alleged he was constructively discharged as a result of his Seventh-Day Adventist beliefs, conducting a thorough investigation for an employer of allegations of kickbacks and other inappropriate conduct by suppliers and employees involved in setting standards for and purchasing millions of dollars’ worth of equipment, and actions Involving breach of employment contracts, breach of implied employment contracts, recovery of unpaid wages, compensation, severance pay, and other general compensatory and consequential damages. Kevin was lead counsel representing the co-owner of the Crandall Canyon Mine in ongoing civil lawsuits stemming from the catastrophic events that occurred at the Mine in August 2007, which resulted in nine fatalities. He lead the negotiations with multiple plaintiffs, insurance companies, and co-defendants, reaching a highly publicized global settlement of all claims of all plaintiffs against all defendants in less than two years following the accidents. In addition, Kevin assisted the co-owner with investigations by the Mine Safety and Health Administration, several Congressional committees, Department of Labor, Utah Mine Safety Commission and other government agencies. Kevin has analyzed, litigated, mediated and been a neutral and party- appointed arbitrator in cases in Utah, Nevada and other jurisdictions involving contract interpretation, market price reopeners, pricing disputes, plant construction issues and product quality related issues. He has been involved in contract negotiations and renegotiation. He represented the University of North Dakota against the NCAA’s attempt to stop it from using its “Fighting Sioux” nickname and logo. Kevin prevented the FBI from gaining access to top-secret government documents leaked to his father, Jack Anderson. Other cases have involved performance of technology sharing agreements, commercial lease disputes, fraud, and the enforcement of alleged verbal agreements. Kevin has also handled Mine Safety and Health Administration special investigations seeking to impose civil and criminal liability, MSHA enforcement defense litigation, appeals before the Federal Mine Safety and Health Review Commission, and litigation challenging unlawful MSHA regulations and related regulatory actions. Kevin has analyzed and litigated numerous claims of force majeure under fuel supply contracts involving events such as unanticipated geologic conditions, the unavailability of railroad cars and other transportation problems, earthquakes, coal frozen in railroad cars, the failure of coal processing equipment at a generating station, breakdowns of turbine generators, and other problems experienced by coal suppliers.